1) Cook buckwheat in salted water until almost cooked. Spread in greased with butter form. 2) Cut bread crust off and soak crumb in milk. 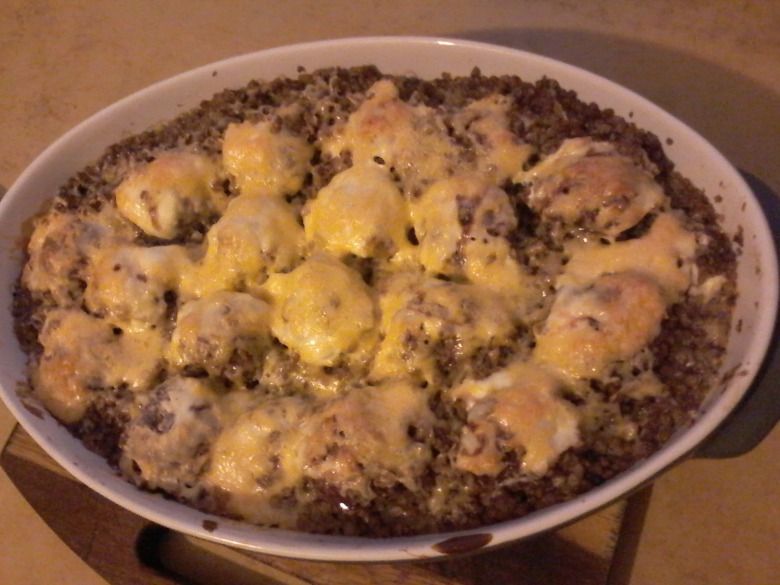 Slightly squeeze bread and grind with minced meat and onions. Salt and pepper the resulting mince and knead thoroughly. 3) Make recess in the cereal. Form from mince meatballs and put them in recess into cereal. 4) Top each meatball with 1 tbsp of sour cream. 5) Bake in heated at 180℃ oven for 30 min, sprinkle with grated cheese and leave in the oven for another 5-7 min. 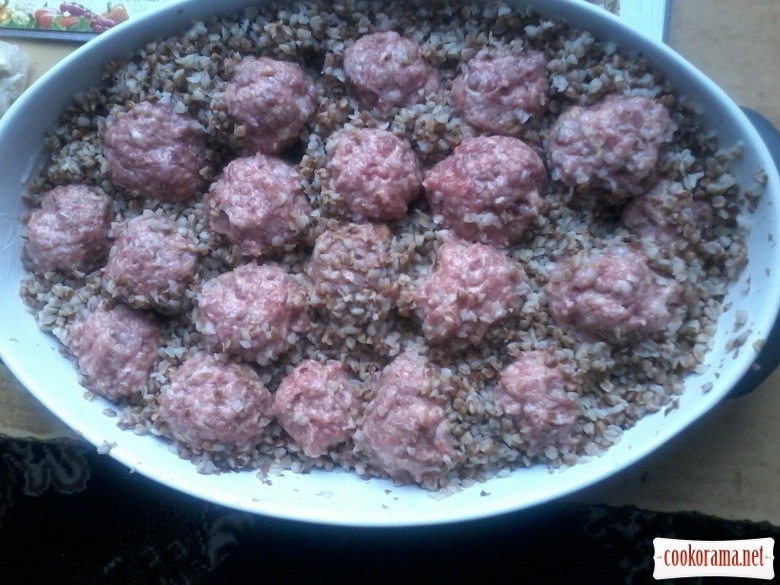 Top of recipe "Cossacks meatballs"